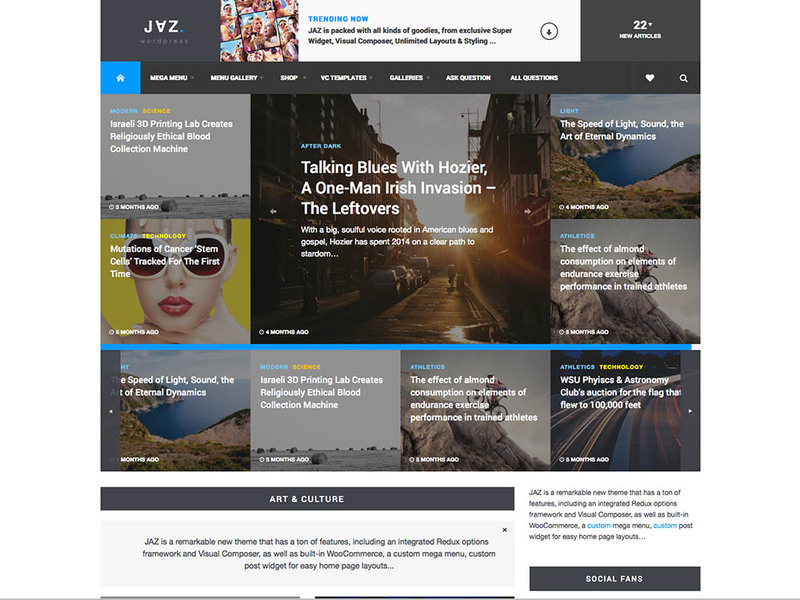 In this article, we’re going to take a look at some of the best WordPress magazine themes and WordPress news themes currently available. These themes were selected by hand, based on aesthetic and quality of features. All are responsive, unless otherwise noted. The list is numbered for readability, but is not intended to imply any sort of ‘best to worst’ ranking. 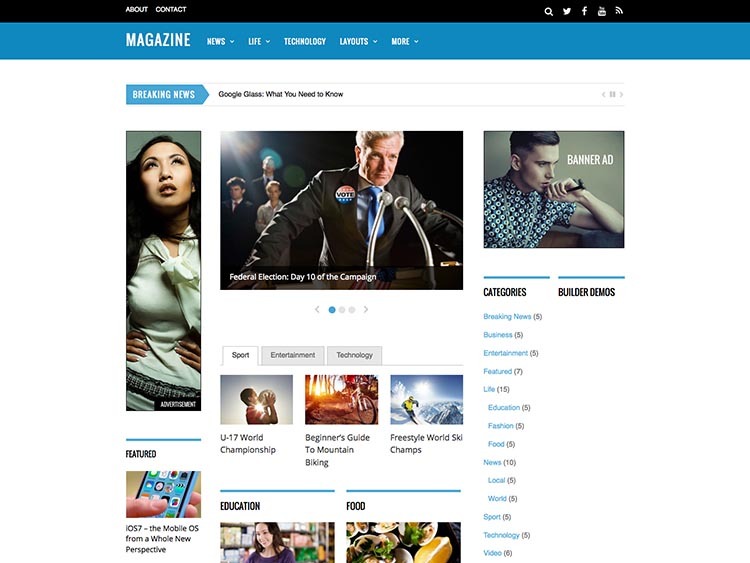 This list represents a selection of general use WordPress magazine themes. If you want to get a bit more specific, we’ve got a few companion articles you might find useful, representing a variety of niches. First up, we’ve got a list of the best fashion & style magazine themes. 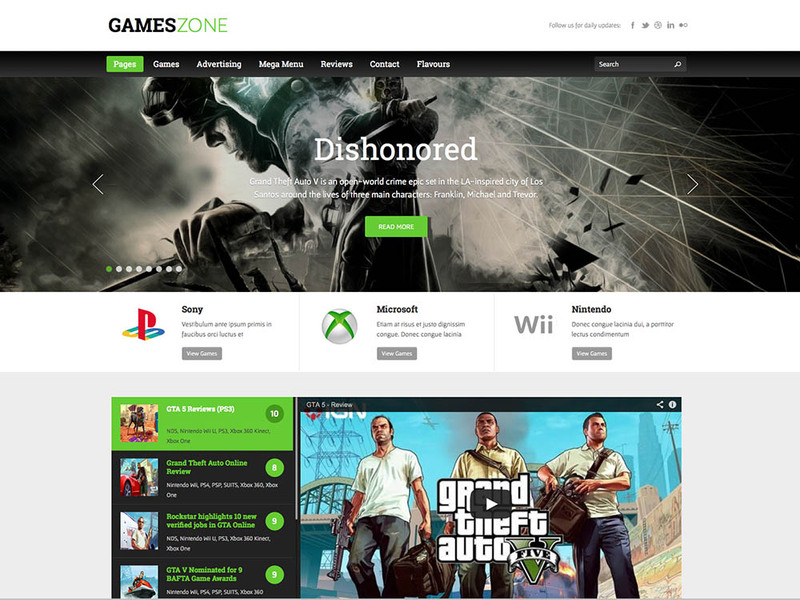 We’ve also assembled a list of the best gaming mag or tech mag themes. Publishers in the food niche will find our roundup of the best cooking and food magazine themes handy. Sports writers might want to check out our rundown of WordPress sports magazine themes. If you got it mind to venture into the celebrity and entertainment niche, you’ll want to check out our picks for the best celebrity & gossip magazine themes. Finally, we’ve also got an excellent list of the best newspaper themes (ala WaPo and NYT). 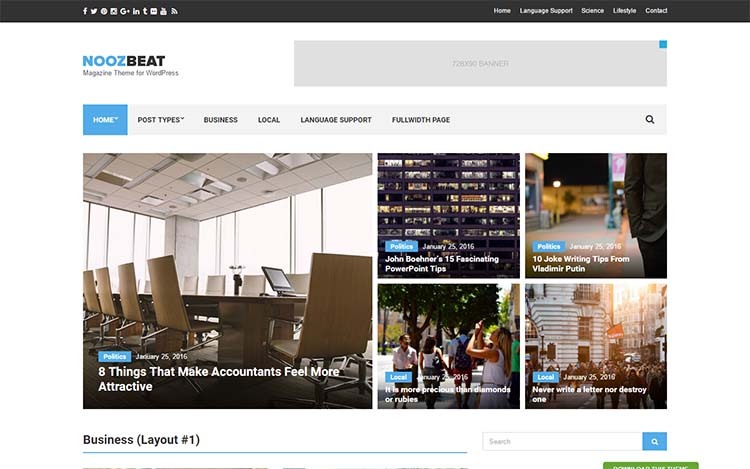 At risk sounding like a fanboy, it would be an understatement to say that Extra is my favorite WordPress magazine theme currently on the market. I’ve been a fan of ElegantThemes and their products for many years–nearly since the beginning–and they were one my major inspirations when running my own theme shop (for Drupal). Extra is the result of almost a decade of experience in WordPress theming: it’s such well-planned and expertly executed product that there’s not much fault to find with it. It’s powered by ElegantTheme’s proprietary Divi builder, one of the most intuitive, user-friendly and powerful drag & drop page builders on the market. The UX of Divi is a wonderful option for users seeking middle ground between popular site builders like SquareSpace and the more flexible, scalable WordPress platform. Useful primary features like category building, and a ratings and system, as well as secondary features like eCommerce support (via seamless WooCommerce integration) elevate functionality even higher. Along with the theme itself, ElegantThemes brings unparalleled support and regular updates to the table, exceeding the service of many competitors. Take a closer look at the details page and demo if you’ve got time to spare, in order to get a fuller picture of what Extra & Divi are all about. Highly recommended. Noozbeat earns high spot on our list partly for the value (coming in at $39, it’s a great deal) and partly based on the strength of the developer. 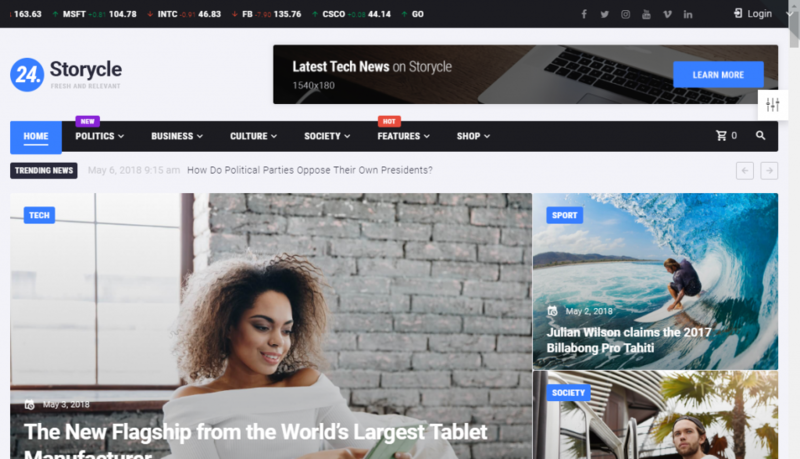 But neither would mean much if the theme itself fell short, and this classic magazine theme provides a clean-cut, modern design and familiar, performance-optimized user experience. The addition of advertising features are an nice touch, giving a Noozbeat an edge over similar products in its class, and an extensive options panel allows for codeless tweaking and customization of colors, fonts, and more. The theme is retina-ready, for sharp display on the latest high-resolution gadgets, and it’s SEO ready to help you rank high in the SERPS. 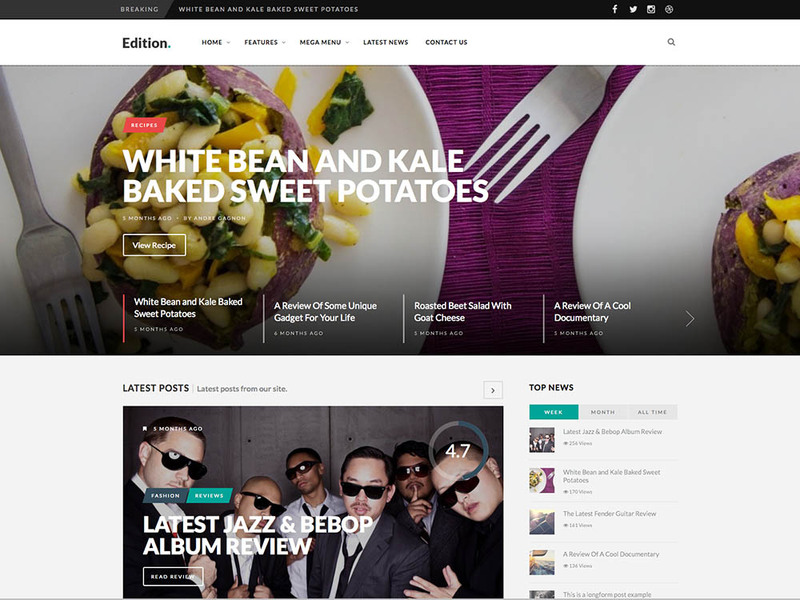 It doesn’t pack in the bells & whistles some of our other selections do–webmasters looking for elaborate slideshows and flashy animations should look elsewhere–but it’s our favorite no-nonsense magazine theme for WordPress, putting content and UX first. And given the choice between understatement and excess, when it comes to web design, understatement gets our vote every time. 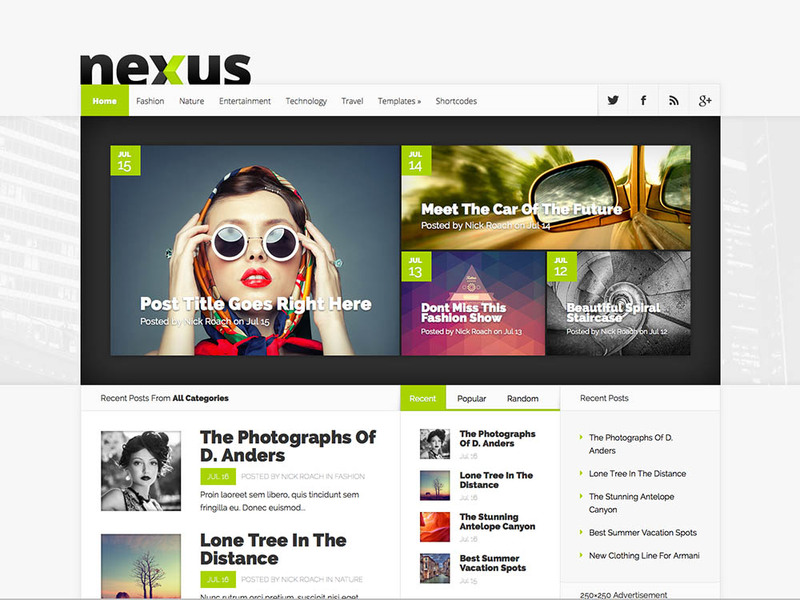 Nexus is another fantastic looking magazine theme from ElegantThemes. Even though this theme is a bit older than some of the others on our list, you’d never guess it. These guys have set the standard for graphics and visual excellence in WordPress design, and influenced a ton of other designers and premium theme developers over past few years. 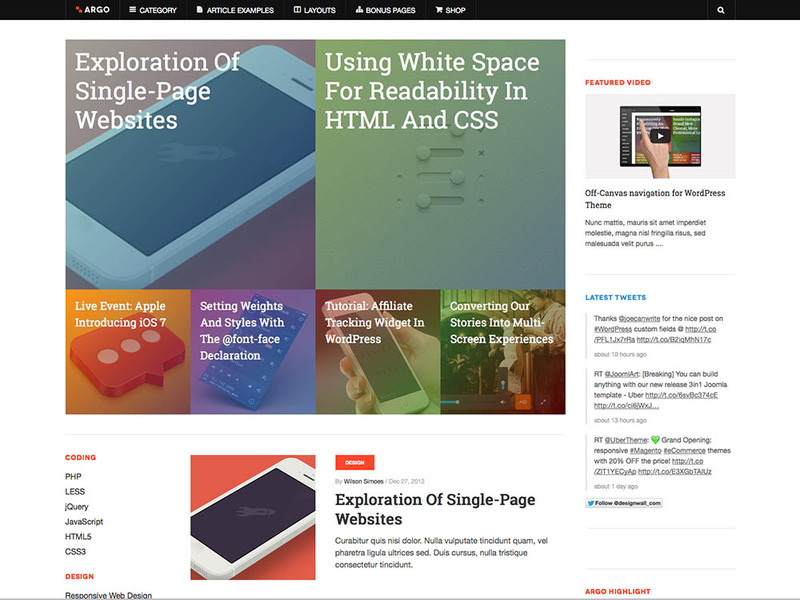 They have it covered on features & functionality, too: Nexux Comes with a homepage builder, unlimited colors, advertising areas, shortcodes, and all the other great stuff everyone takes for granted from ElegantThemes. If you don’t know about ’em, we’d have to assume you’re brand new to WordPress. Another plus: ElegantThemes works on a Buy-One-Get-All model: a one time fee gives you access to all their themes. Our enthusiasm probably sounds a bit like shilling, but they really do provide one of the best deals and best products in the WordPress premium market. 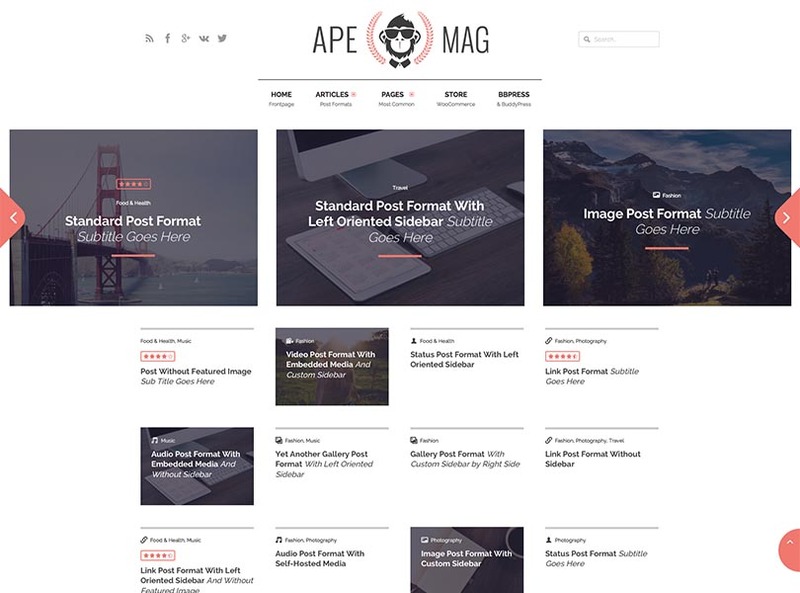 We’ve always been suckers for minimalistic, clean & content-focused design, so it’s no surprise that Apemag makes the cut. But the most notable feature of Apemag, aside from it’s hip, contemporary design, is that it’s so well optimized for monetization. It’s like the developers recognize that most people who launch online magazines aren’t doing it strictly as a hobbyists, and wouldn’t mind making some $$$ for all their effort. The ad placement options and Adsense optimization here has been carefully thought out and expertly realized. But that wouldn’t mean much if you couldn’t get traffic, so extra care has also been invested into making Apemag as SEO friendly as possible. You don’t want to get buried in the results, and so everything is in place and properly to coded to improve your chances of securing a top spot in Google (and Bing, I guess). A review system is provided, as well as integration with WooCommerce, just in case you want to pimp some wares. Lots of options on the back-end leave you room for adjustments & branding, and Apemag is responsive (as you’d expect) and retina-ready for those fancy-pants high-res devices they’ve been pushing lately. Oh, one more thing: it also supports BuddyPress and bbPress! Want to be a publisher and build a thriving community? Apemag, that’s the ticket. 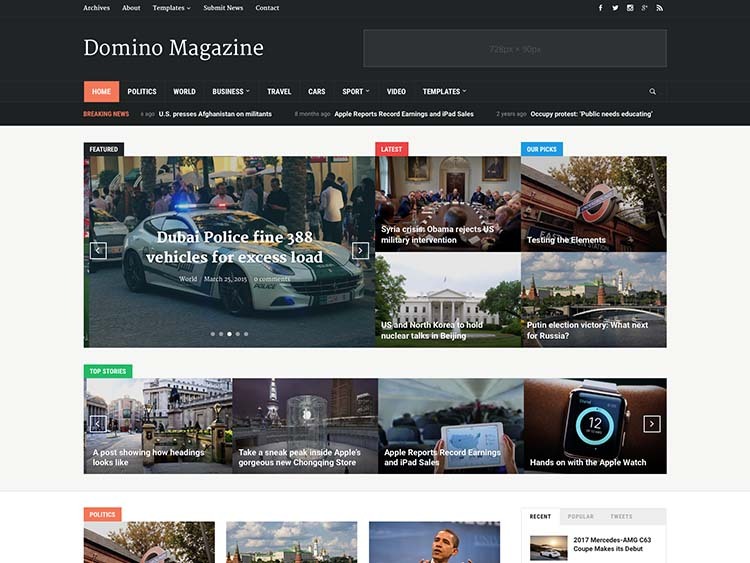 Domino is one of the latest entries into the WordPress magazine market, and along with its expertly conceived design and layout, it features a world-class UX, high-readability, and snappy, optimized performance. The developer behind this one (WPZoom) has been around for years, and that experience shows. Flexibility is another notable highlight; Domino is built on WPZoom’s proprietary ZOOM framework and allows for the customization and adjustment of just about every element. The dynamic home page builder (integrated with WordPress widgets) makes it easy to create and edit layouts for both novices and seasoned users, and the built-in visual customizer makes tweaking and previewing colors, fonts, and theme elements in real-time a breeze. The theme is mobile-ready and optimized to look crisp & sharp on the latest high-resolution devices. It’s SEO friendly, supports translation, and even comes with ad management (which will come in handy for any monetization efforts). WPZoom has an excellent reputation, and Domino is reliably supported by the same skilled team that put it together. Recommended! 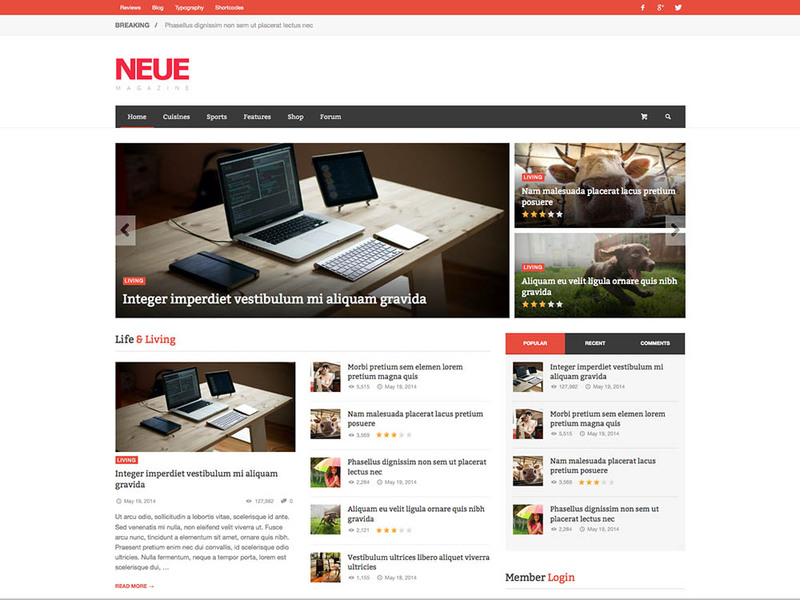 The Neue theme is a magazine and review theme featuring a flat, contemporary design. It includes a drag & drop builder, support for WooCommerce, Mega Menu, and of course, reviews. A Views and Like counter is built in, and the theme is easy to customize. 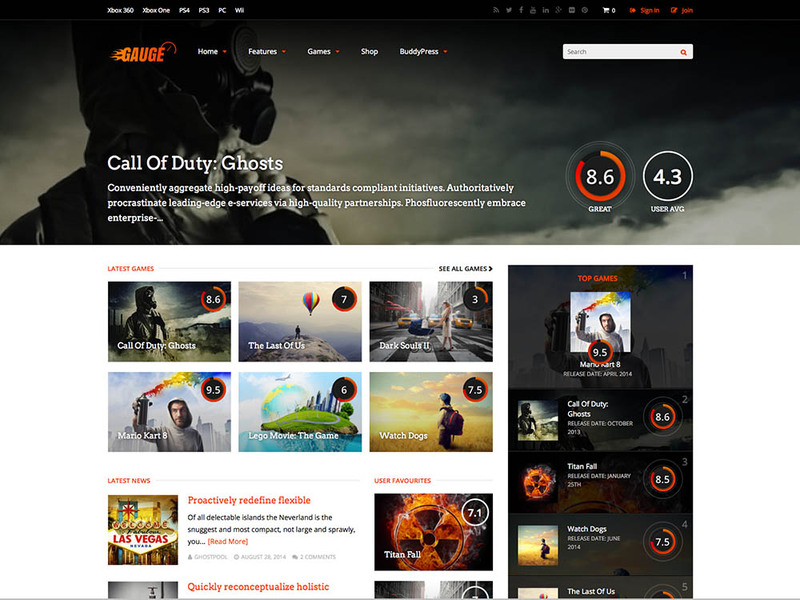 The theme is fast and its performance has been optimized. There’s lots of options with this one, and it’s one of the most configurable themes on our list. It’s built on the Bootstrap framework, and takes advantage of the Redux framework to offer tons of options on the backend. Visual Composer and Mega Menu are both included. There’s lots of different layouts to play with here, so if you’re the indecisive type, who spends hours tweaking, you may want to keep reading. When people refer to a theme as elegant, usually they’re talking about clean, minimalistic designs that know how to use white space. Mokka fits the bill. Includes a page composer, a grid layout, slideshows sections and more. 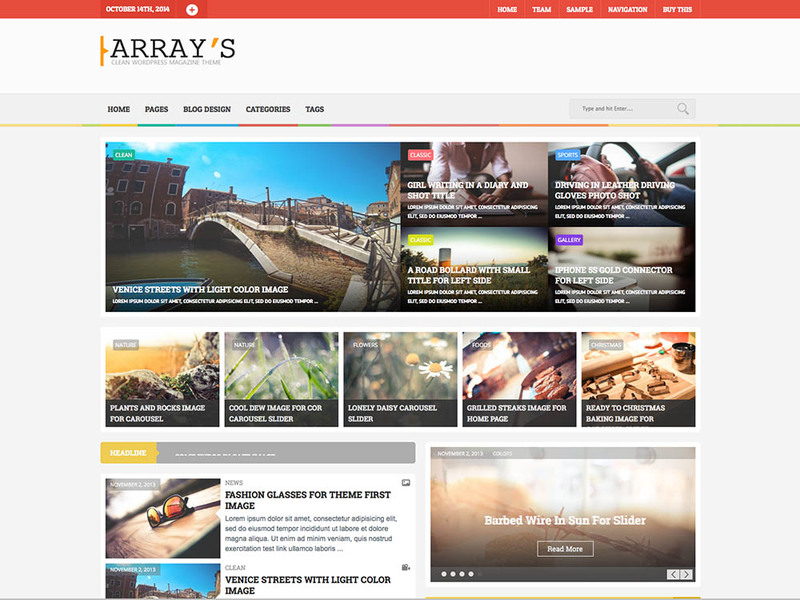 The simply titled Magazine theme is a three column magazine theme designed specifically for use with Themify’s powerful Builder framework. You can build complex layouts quickly and easily with the intuitive drag & drop interface, and 42 presets are included out of the box. Other great features like a news ticker, advertising spaces, and mega menus are provided. The theme is both responsive & retina-ready, so it’ll look great and work perfectly across a range of mobile-devices, new and old. Magazine is WooCommerce compatible and translation ready. Another classy, minimalistic magazine theme, Marroco will work as blog, newspaper, magazine, or whatever else your little heart desires. Like many themes in its class, it offers a drag and drop content builder, and uses masonry for laying out posts in a grid. Parallax backgrounds makes this one extra fancy. A well-thought out theme that optimized for mobile use and touch screen devices, Edition brings you multiple page layouts, mega menu support, a review system, custom Google fonts, custom colors, and bunch of other stuff you might want or need. It also looks pretty, pretty good. Cute name, great theme. Sparkle features a super-modern design and layout and is one of our favorites on this list. 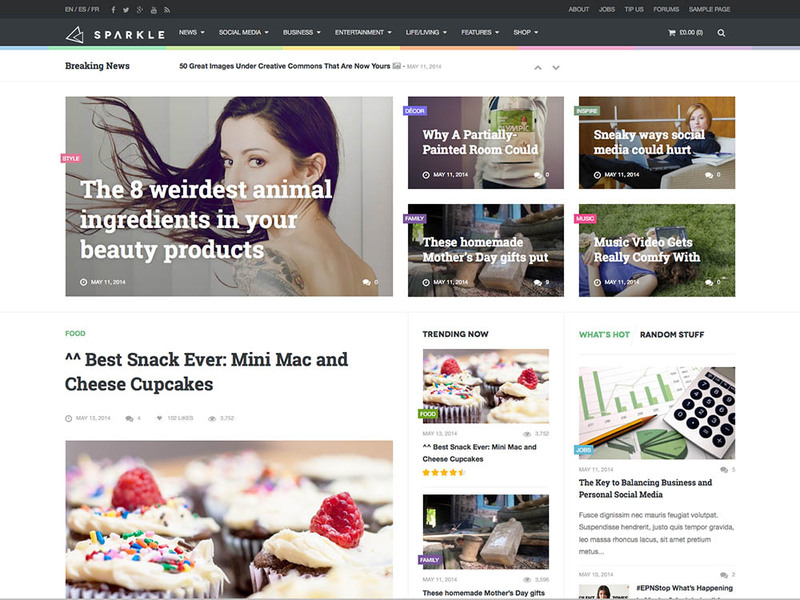 Built on the Underscores and Bootstrap frameworks, and suitable for many different types of magazines and news portals, Sparkle supports WooCommerce, bbPress, Google fonts and lots more. It’s easy to customize with the extensive theme options, and the developer also serves up a number of video tutorials to help you along. 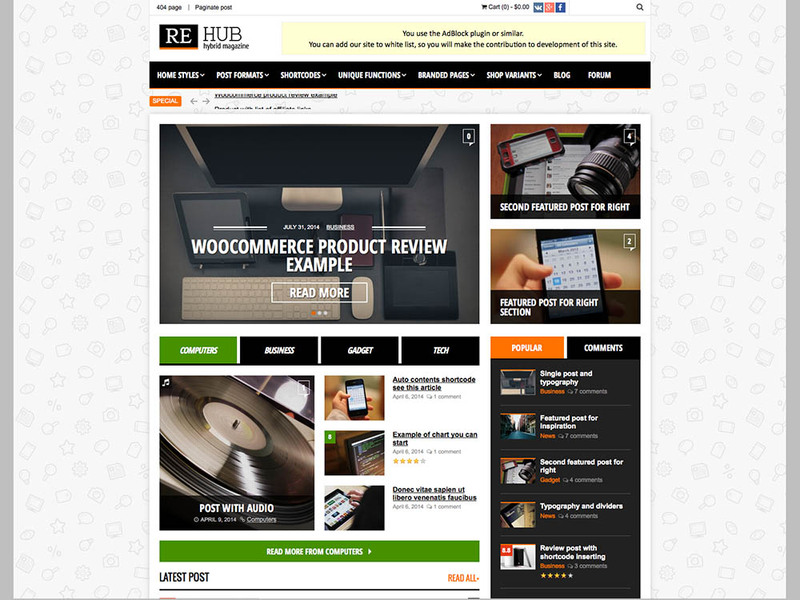 Perfectly matched for that tech mag you’ve been thinking about starting, REHub comes with support for a lot of third party plugins: ECWID, WooCommerce, EasyDigitalDownloads, bbPress and more. An integrated page builder and customizable header gives you plenty of flexibility and control over the way your content is presented. Offering both dark and light layout options, Llama also allows you to easily customize colors and homepage/page layout. Llama would be great for a music magazine (and we suspect the designer might have had that in mind). Mega Menu support and more. Next up is Arrays. It looks pretty sharp with the flat, responsive design it’s rocking, and it comes with multiple layouts, SEO optimization and support for unlimited colors. Something tells me there’s multiple header layouts available too (that something is my notebook). 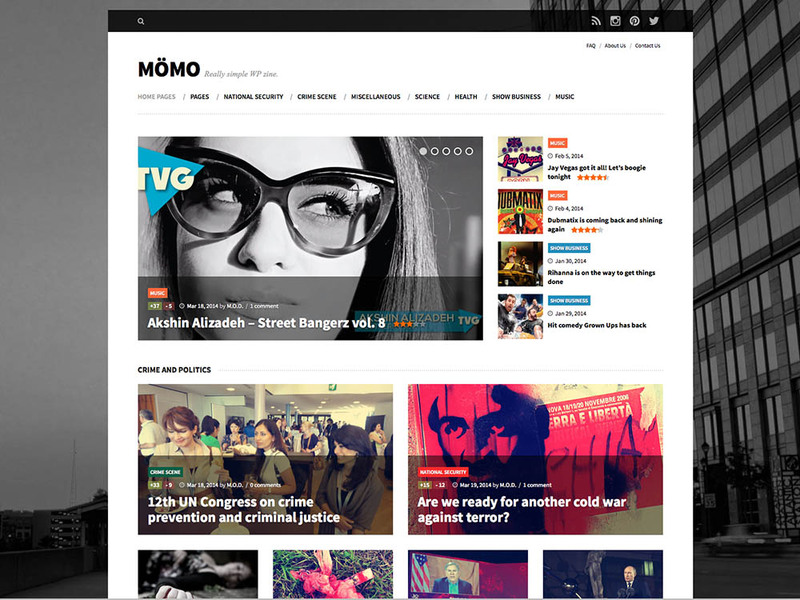 Touted as really simple, MOMO, the developers of MOMO went full responsive and built the thing on Bootstrap. The categories are color accented, reviews are supported, and lots of easy to use shortcodes are packed in. It’s also retina ready and includes Visual Builder and post voting. 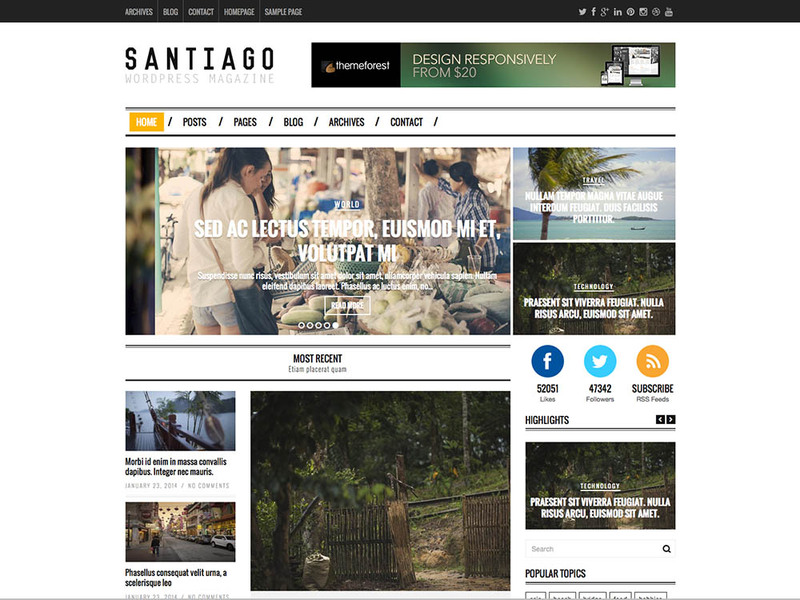 An all-in-one multipurpose blog and news template that will make an impression on all possible Internet users. By means of the great header and footer builder and mega-menu builder, you will be able to create unique elements. It will be also possible to build remarkable post sliders with various tile layouts that will highlight your newest content. 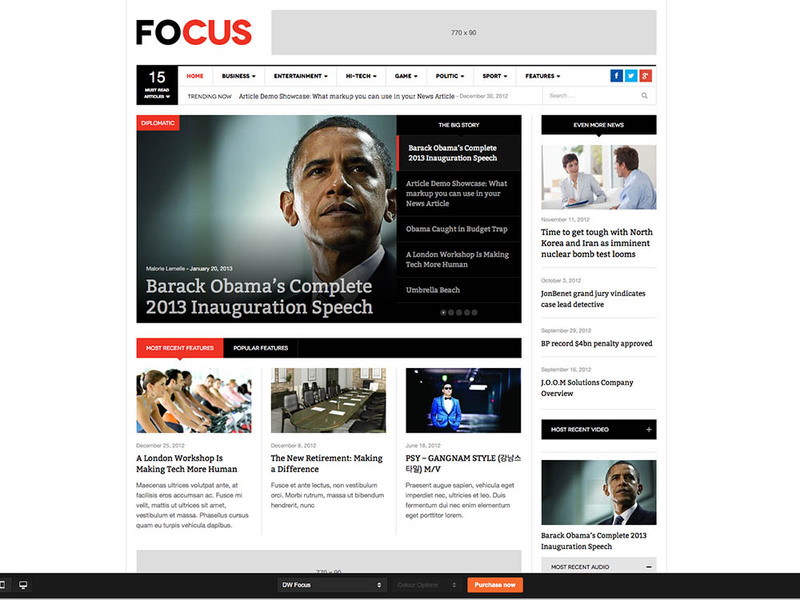 Moreover, you are going to get 10 single post layouts that will give your articles an incredible look. If you want to display videos in a compact and stylish form, you can make it using vertical and horizontal video playlists. Keep in mind that this ready-made solution includes an amazing AMP-functionality. This means that your mobile-pages will be loaded just in a few seconds. Directly from our notes: Responsive, flat modern design, widgetized homepage, 12 custom widgets, unlimited sidebars and colors, ready for translation. This one might be well matched for a travel magazine, were you so inclined. 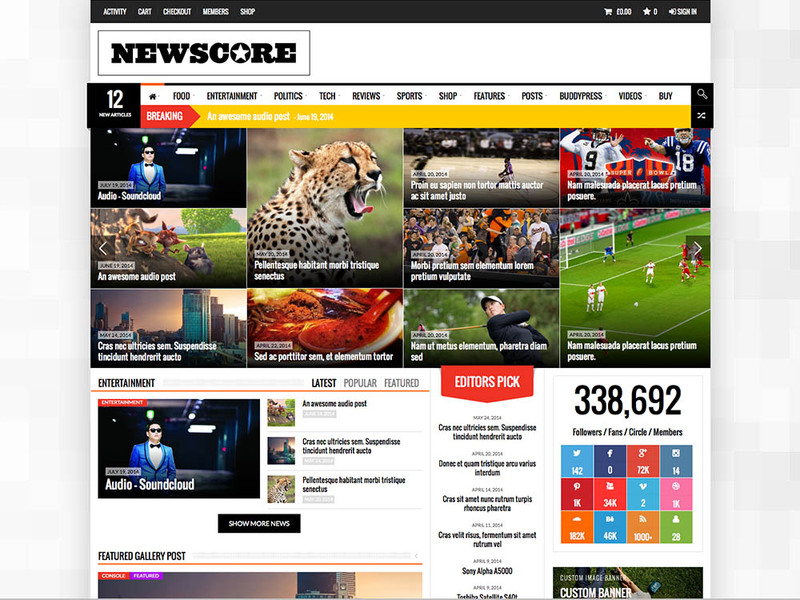 One of the newer themes on our list, Newscore gives you three distinct homepage layouts to choose from (only one of which is shown in our thumbnail), and it includes all of the great features you’d except – support for the most popular third party plugins, reviews, extensive theme options, and a totally sweet look. We suspect the designer had games in mind when Gauge was put together. Among other features, like a layout builder and review system, Gauge is a newer theme that includes a few unique features like front-end posting (ala Drupal) and AJAX content filtering (eliminating the need for page reloads). It’s also retina ready and supports both BuddyPress and bbPress. Comes with demo content to get you started. 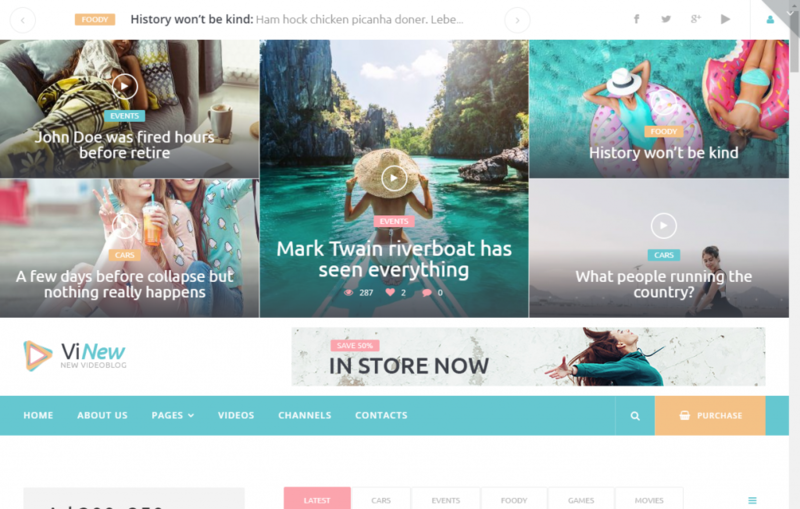 Vinews is a modern template that is considered to be a great variant to launch a brand new media portal. This ready-made solution has a minimalist design because it is crucial to focus the attention of people on your content. It comes together with a bunch of customization options. This means that you will be ready to play around with colors or fonts in order to make them express your ideas. Such options as news categories, single posts, and news feeds can be also called a match for your online-project. People can also subscribe to your newsletters in order to be quickly informed on the latest updates. Built by ThemeFuse with gaming in mind. Multiple slider options, Google font options, mega menu, several page layouts, and more. 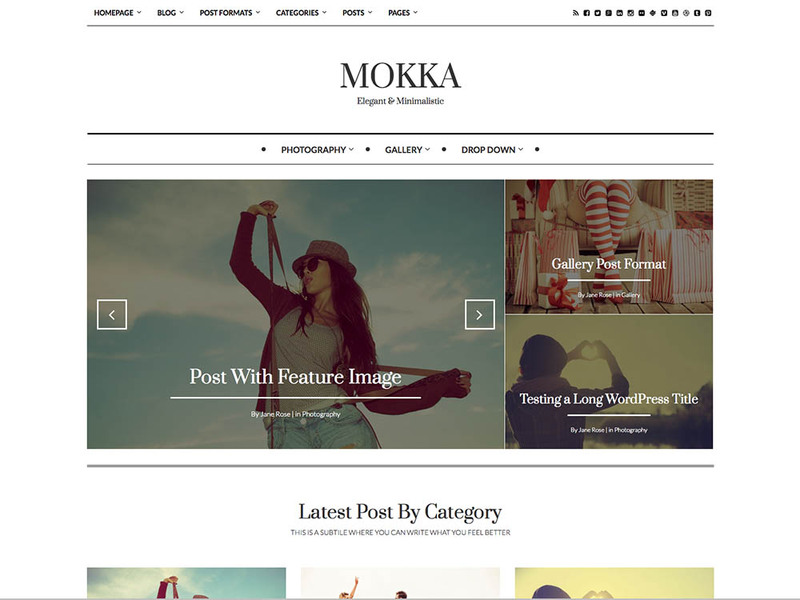 This theme is versatile enough that it was also included in our post 22+ Best WordPress Blog Themes. As we noted, we almost went with this theme for Siteturner before settling on a custom one. It’s reminiscent of SmashingMagazine, and would be well matched to a blog or magazine about design. It includes support for reviews and EasyDigitalDownloads. 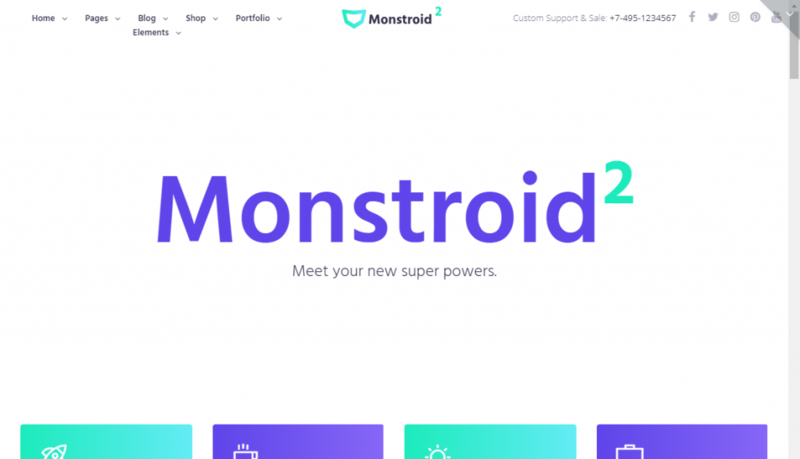 Monstroid2 is adored by lots of web developers all over the world. Yet there is no need to think that only those people, who are familiar with coding, can work with it. Even beginners in programming are capable of getting a website that has a distinguishing and visually-attractive look. A number of advanced features that are included in the package will certainly impress your imagination. Over 500 pre-designed sections and ready-made pages are already waiting for you to take advantage of them. A large set of amazing skills (that are updated on a weekly basis) will provide you with an opportunity to build different websites regarding different topics. Do not forget that this splendid template allows experiencing the easiest installation that can be done in a few clicks. Another selection from DesignWall. Put together with news portals and magazine sites in mind, DW Focus is near perfect aesthetically with its neat & clean layout and typography. It is fully functional, programmed in many techniques. If you don’t want to go through the effort of setting up your theme and building the site, there’s a great solution for you. A top ranked Fiverr seller can set up your newspaper/magazine site, including plugins, design customization, and content upload for $120. You won’t get all of the features of the themes above, but you’ll get your site up quickly and without hassle. That brings us to the end of another round-up, collection, or whatever the hell you want to call it. We hope you liked what you saw! 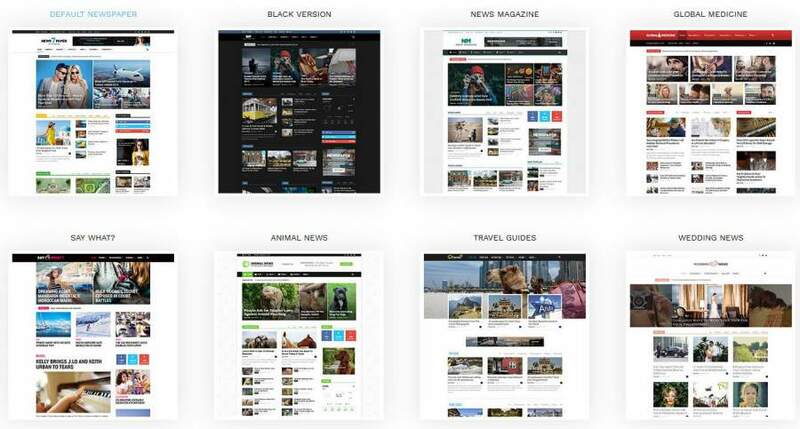 One more thing: if you’re looking for magazine/newspaper theme under $20, click here for the best cheap WordPress themes. May I suggest: https://theme-stop.com/themes/viral-mag/ which is a free popular magazine theme that I think would be of interest to your readers. 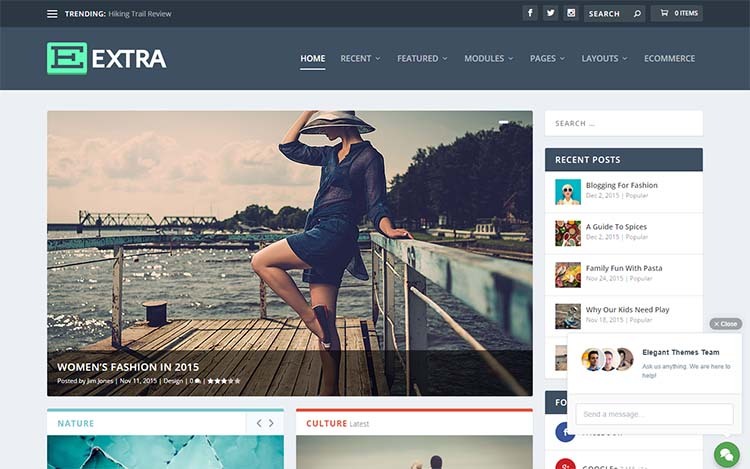 Hi, medianews is no longer exist in themeforest.